Perfect for your daily necessities. 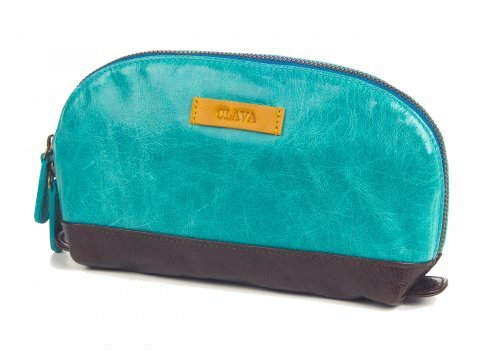 Use it for pens, gum, etc; make-up case; mp3 player and accessories anything you want to keep organized in a bigger bag. 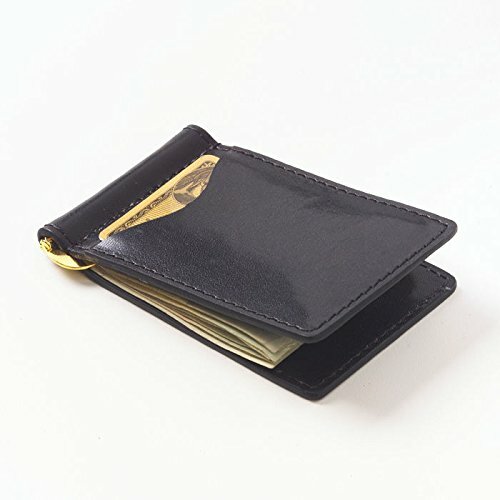 This compact wallet holds business and credit cards in style. 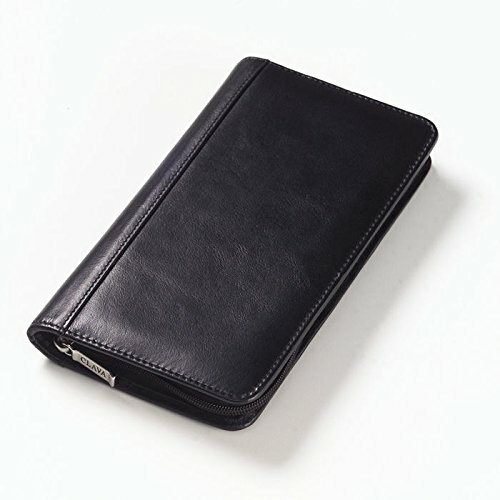 This sleek zip-around travel wallet features multiple interior organizers. 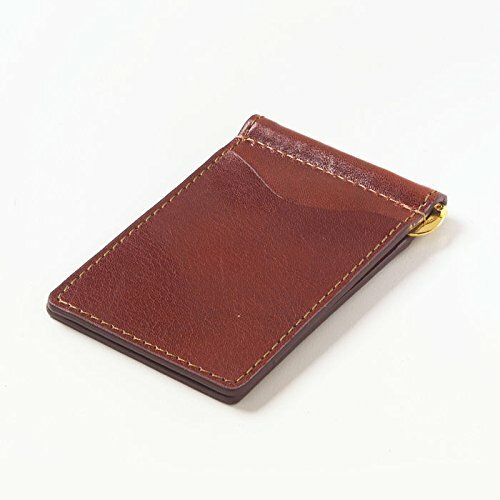 Credit card slots, ID holder, pen loop, zipper coin pocket. 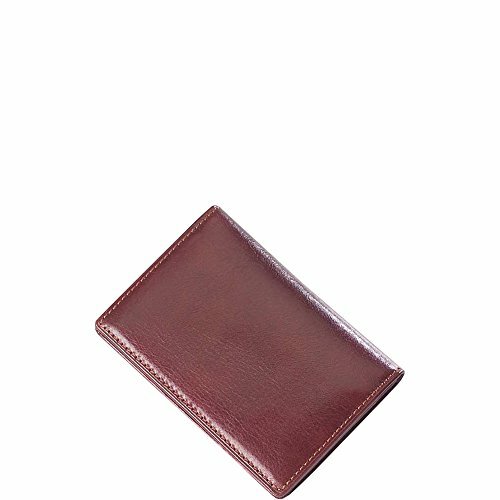 Full-length vertical pocket for documents, checkbook, passport, airline ticket and billfold for currency. 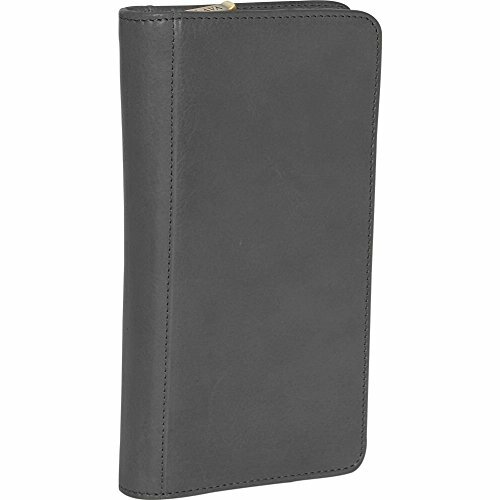 92101+BLK Color: Glazed Black Features: -Zip around travel wallet with interior organizers. -Credit card slots. -ID holder. -Pen Loop. Color: -Tan. Material: -Leather. Generic Dimensions: -Dimensions: 9 '' H x 5 '' W x 0.75 '' D. Dimensions: Overall Height - Top to Bottom: -9 Inches. Overall Width - Side to Side: -9 Inches. Overall Depth - Front to Back: -0.75 Inches. Overall Product Weight: -1 Pounds. 92222+COGNAC Color: Glazed Cognac Features: -Glazed Italian leather is highly polished and formal.-Brass Fittings. Warranty: -One year limited warranty on parts and workmanship. 92222+BLK Color: Glazed Black Features: -Glazed Italian leather is highly polished and formal. -Brass Fittings. -Personalized items may not be returned! For Corporate Orders please call our customer service team at (800) 675-3451. Product Type: -Money Clip. Gender: -Men's. Material: -Leather. Color: -Black. Color: -Tan / Khaki. Dimensions: Overall Product Weight: -0.5 Pounds. 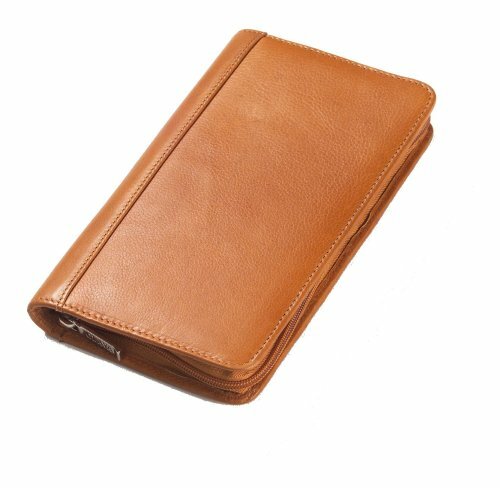 92101+TAN Color: Tuscan Tan Features: -Zip around travel wallet with interior organizers. -Credit card slots. -ID holder. -Pen Loop. Color: -Tan. Material: -Leather. Generic Dimensions: -Dimensions: 9 '' H x 5 '' W x 0.75 '' D. Dimensions: Overall Height - Top to Bottom: -9 Inches. Overall Width - Side to Side: -9 Inches. Overall Depth - Front to Back: -0.75 Inches. Overall Product Weight: -1 Pounds. 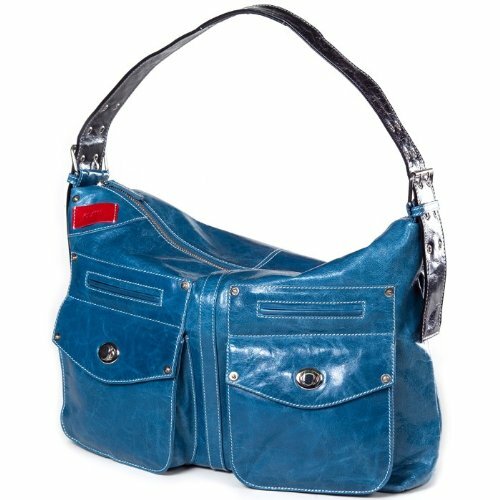 Gorgeous glazed leather bag with fun "denim jeans" detailing can be carried as shoulder bag or sling. Two oversized front pockets with turnlock closure are 1" deep at bottom to hold plenty. Two slash pockets are great for cell phone and smaller items. Interior zip pocket on back wall of bag and two add'l pockets on front wall of bag. Top zip closure. Comes with two removable straps that are secured with belt-type buckles: 7-12" drop strap with anti-slip detail so it stays on your shoulder and sling strap that adjusts from 16"-22" drop. White contrast stitching on black and blue leather, black contrast stitching on white leather. YKK zippers. 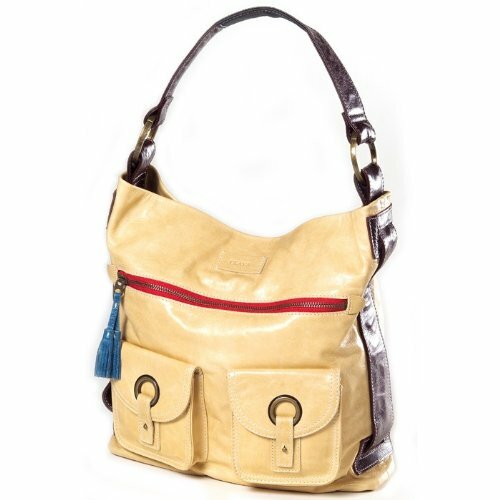 Glazed leather shoulder bag is perfect for everyday use and can be carried as a sling bag too. Two exterior pockets with great grommet detail can be used to hold cell phone, keys, pda, etc for easy access. Front horizontal zip pocket with tassle detail is perfect for securing wallet and is 7" deep. 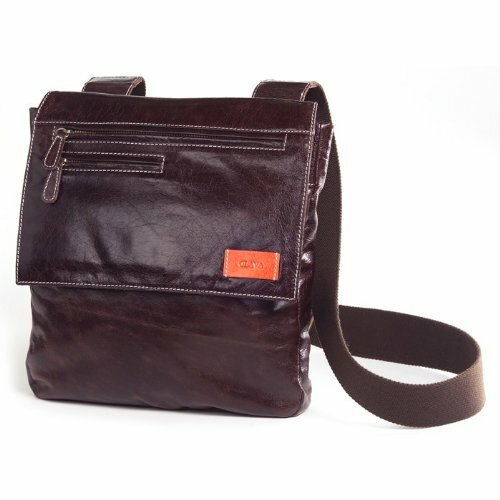 The main body of the bag has center zip pocket that acts as a divider. Interior zip pocket on back wall of bag and two add'l pockets on front wall of bag. Top zip closure. Comes with two removable straps that are secured with snaps: 8" drop strap with anti-slip detail so it stays on your shoulder and sling strap that adjusts from 18"-24" drop. White contrast stitching. YKK zippers. Looking for more Clava Leather Glazed similar ideas? Try to explore these searches: Handmade Pink Green, La Cross Scissor, and Ice Tempered Curved. Shopwion.com is the smartest way for comparison shopping: compare prices from most trusted leading online stores for best Clava Leather Glazed, Highlands Wool Shirt, Honda Spare Tire Cover, Glazed Clava Leather . Don't miss this Clava Leather Glazed today, April 26, 2019 deals, updated daily.